Unum began paying disability benefits. It then learned that the insured had pleaded no contest to a charge of operating a vehicle while impaired. A federal district court in Michigan has upheld an insurance company’s decision to terminate long term disability benefits to an insured for injuries he had suffered in an automobile accident after learning that he had pleaded “no contest” to a charge of operating his vehicle while impaired. The court also allowed the insurer to recover more than $20,000 in payments it had made to the insured. Michael Lee Sosinski was involved in a single car accident when he hit a tree, was ejected from the car, and was injured. As the court explained, at the time of the accident, he allegedly was speeding in excess of 90 miles per hour and a crash report showed the presence of alcohol and drugs based on the results of a blood test. At the time of the accident, Mr. Sosinski was a participant in a long term disability insurance plan through his employer, Hascall Steel & Supply; Unum Life Insurance Company was the plan administrator. After his accident, Mr. Sosinski filed an application for long term disability benefits with Unum. Unum approved his claim and began paying benefits of $941.23 per month. At some point thereafter, Unum became aware that Mr. Sosinski had pleaded no contest to a charge of operating while impaired. Your Long Term Disability benefit payments are no longer approved. You became disabled as a result of your commission of a crime for which you were convicted. Such disabilities are not covered under your plan and benefit payments should not have been extended to you. You became disabled due to injuries sustained in a motor vehicle accident on March 22, 2009. During our initial telephone call with you on October 15, 2009, you advised us that you had lost control of your vehicle and hit a tree. You indicated you did not really remember what happened and your family had to tell you what occurred. You did not advise us that you had been charged with any crime in conjunction with this accident. We had asked you to provide us with a copy of your motor vehicle accident report and sent you an accident questionnaire to complete. We have received a letter from the Warren Police Department showing you were arrested on July 17, 2009 for OUI (operating under the influence) of Intoxicating Liquor—MV (motor vehicle)…. You pleaded “nolo contendre” (no contest) and were found guilty. 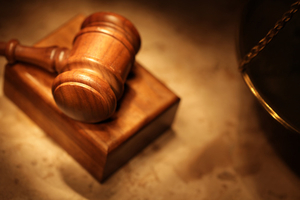 A finding of guilty, through either plea or trial, constitutes a conviction under the policy. Your policy does not cover any disabilities caused by, contributed to by, or resulting from your commission of a crime for which you have been convicted. Mr. Sosinski last worked in March 2009 due to injuries resulting from a motor vehicle accident. According to our records, he was estimated to have been driving at a speed of 90 plus miles per hour. He was ejected at the time of the crash and suffered a closed head injury. The March 2009 crash report indicated the presence of alcohol and drugs based on the blood tests taken at the scene of the accident. This report described your client’s actions as reckless driving. Unum recently gathered information indicating Mr. Sosinski was found guilty of operating while impaired and with a suspended/revoked license. His sentence included a fine and probation…. Mr. Sosinski committed and was convicted of a crime for which actions of driving a motor vehicle while under the influence of alcohol. His actions of driving while intoxicated caused, contributed to, and/or resulted in the motor vehicle accident that resulted in his injuries and disability. We determined that Mr. Sosinski’s disability is excluded from coverage under the terms of this policy. His disability was caused by, contributed to by, and/or resulted from his commission of a crime for which he was convicted. Mr. Sosinski then sued Unum under the Employee Retirement Income Security Act (“ERISA”), 29 U.S.C. § 1001, et seq. He moved for judgment, seeking to reverse Unum’s decision. Unum moved for summary judgment on its counterclaim seeking a money judgment against Mr. Sosinski in the amount of $22,589.52, for reimbursement of a portion of the benefits it had paid to him. WHAT DISABILITIES ARE NOT COVERED UNDER YOUR PLAN? - active participation in a riot. - loss of a professional license, occupational license or certification. - commission of a crime for which you have been convicted. WHAT HAPPENS IF UNUM OVERPAYS YOUR CLAIM? - your receipt of deductible sources of income. You must reimburse us in full. We will determine the method by which the repayment is to be made. Unum will not recover more money than the amount we paid you. Any unpaid premium due for your coverage under this policy may be recovered by us by offsetting against amounts otherwise payable to you under this policy or by other legally permitted means. The court granted Unum’s motion. Thus, the court continued, Unum’s determination that Mr. Sosinski’s no contest plea had led to a “conviction” was reasonable. In short, the court ruled, the plan did not cover “disabilities caused by, contributed to by, or resulting from” the “commission of a crime for which you have been convicted.” Mr. Sosinski had failed to show that UNUM’s decision to stop paying benefits after concluding that Mr. Sosinski was subject to the criminal conviction exclusion under the plan was arbitrary or irrational. Finally, the court ruled that Unum was entitled to recover $22,589.52, the most recent 24 month period of overpayment, from Mr. Sosinski, finding that the recovery was permitted under ERISA § 502(a)(3)(B)(ii) because the plan provided that Unum was entitled to recover overpayments. The case is Sosinski v. Unum Life Ins. Co. of America, No. 13–13576 (E.D. Mich. April 23, 2014). Attorneys involved include: Joseph Dedvukaj, Bloomfield Hills, MI, for Plaintiff; D. Andrew Portinga, J. Michael Smith, Jason C. Miller, Miller, Johnson, Grand Rapids, MI, for Defendant. Another court, examining Unum’s interpretation of the term “conviction” under similar circumstances, has reached the same result. First, Unum’s approach adheres to established contract interpretation principles. The normal rule is that contract language in an ERISA action is to be given its plain meaning…. “Dictionaries of the English language are a fundamental tool in ascertaining … plain meaning.” … Indeed, in Littlefield v. Arcadia Insurance Co., 392 F.3d 1 (1st Cir.2004), the court relied on an American Heritage Dictionary definition of the word “crime” to affirm the defendant’s decision to exclude a plaintiff from coverage under its policy…. There, “crime” was defined as “[a]n act committed or omitted in violation of a law forbidding or commanding it and for which punishment is imposed upon conviction.” That Unum has relied on a similar dictionary definition to interpret the scope of the policy’s criminal act’s exclusion thus appears to be both well-reasoned and supported by substantial, legitimate evidence. Second, Unum’s interpretation promotes consistency among similarly situated policy holders…. Because it draws its definition from one interpretive source, all policy holders are bound by Unum’s definition. This would not be true if, as Harrison argues, the applicability of the criminal act’s exclusion were to depend upon the way in which DWI is classified under the law of each state where the DWI occurred. Under such a regime, similarly situated claimants would receive different treatment depending upon the state in which the “crime” was committed…. Third, Unum’s interpretation effectuates, rather than undermines the criminal act exclusion’s underlying purpose. The exclusion exists to prevent claimants from passing the costs of illegal behavior on to other policy holders…. Harrison’s interpretation would have the opposite effect. I reject this construction.